NHL News : Major scandal involving Erik Karlsson's wife and teammate Mike Hoffman. 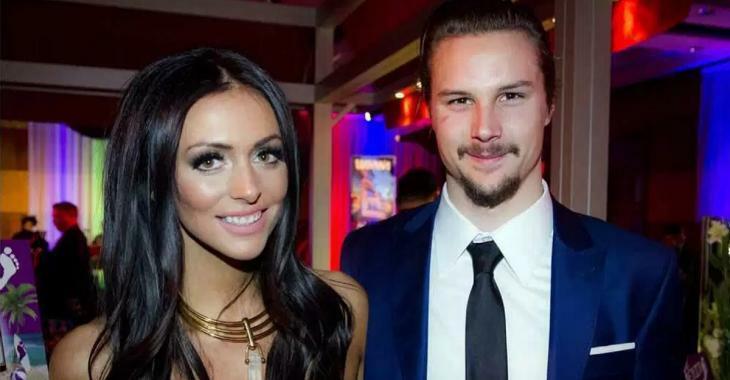 Major scandal involving Erik Karlsson's wife and teammate Mike Hoffman. We have a major scandal brewing in Ottawa. In one of the more unbelievable stories that I have seen hit the hockey world in some time, the wife of Ottawa Senators superstar defenseman Erik Karlsson has made shocking accusations that have very serious implications for her husband's teammate Mike Hoffman. According to a stunning report from the Ottawa Citizen, Melinda Karlsson has accused Hoffman's long-time girlfriend, Monika Caryk, of orchestrating a campaign of harassment against her and her husband following the death of their unborn child during the 2017-2018 National Hockey League regular season. Their unborn son, Axel Karlsson, was stillborn back in March of 2018 but according to an order of protection that has been filed by Melinda Karlsson, she is alleging that Caryk has been harassing her family since November of 2017. As of the time of this writing the motivations for this alleged harassment from Hoffman's girlfriend remains a total mystery, but needless to say that this is a stunning turn of events. “Monika Caryk has uttered numerous statements wishing my unborn child dead,” said Melinda Karlsson to the court. This now paints another shocking incident that occurred back in March of this year in an entirely new light, and if I'm being perfectly honest I now no longer know how to view the incident in question. Back in March in a very strange move Erik Karlsson lashed out at a user on social media who had mocked him and his wife after the loss of their unborn son. The user, identified only as "sandydandy45" had made a stunning accusation against Melinda Karlsson and effectively blamed her for the death of her child. “I feel bad for the baby he didn’t have a chance with Melinda popping pain killer medication everyday,” said the anonymous user at the time. One of the more bizzare aspects of Karlsson's response to this comment was not only the fact that he responded to a seemingly random user on social media, but that he also seemed to have some level of familiarity with the person he was respond to. Here is what Karlsson said at the time, responding just 7 minutes after the original comment from "sandydandy45." According to the Ottawa Citizen this not does not end at an order of protection from Melinda Karlsson either, there also appears to be an active investigation from Ottawa police into potential stalking from Caryk directed towards the Karlsson family. As you would expect the Ottawa Citizen reached out to Mike Hoffman for his comments on this situation but he refused to go on the record. There's no telling where this will go, but it certainly explains why the trade rumors around Mike Hoffman have picked up considerably once again.